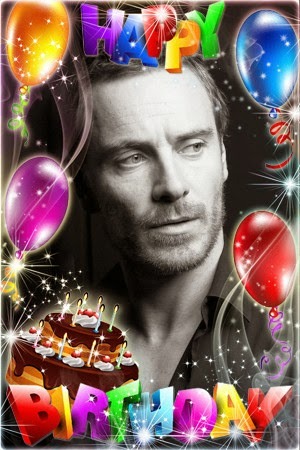 Fassinating Fassbender - A Michael Fassbender Fan Blog: Happy Birthday Michael Fassbender! 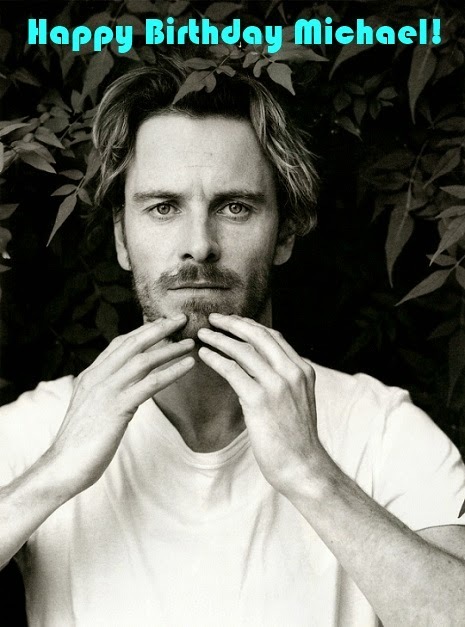 April 2nd is the the holiest day in Fassyland because it's Michael Fassbender's birthday! He turns 37 and is in the prime of his life! I say this often, but it really is fun to be a Fassinator! Michael is an award-winning, in demand A-list actor with several films coming out this year for us to enjoy. X-Men: Days of Future Past, Frank, and MacBeth! And Fassinating Fassbender just came off a successful fundraiser in Michael's honor (which was our symbolic gift to him), so today, I have some fundraiser raffle winners to announce! I wish I could give all the donors a small token gift for their donation, but I reckon you all enjoyed donating in the spirit of giving, so thanks again for that. Without further adieu, here are the winners! Congratulations ladies! Please email me your mailing address to ship your items! And once more, Happy Birthday to Michael Fassbender, we love you and hope you have a great day! Hey Simone! I am simply dying that Yahoo UK has put up photos of the X-men interview but no video yet. Why do they torture us so? But there have been great shots of the smile, the laugh, and the hands, so I guess I should be happy. Really looking forward to seeing the movie. Otherwise I'm glad to participate in donation to the bike experience and I hope it will help a little . I am ready to start next year. Have a good day Fassinators! Happy Birthday to Michael and Stéphanie. I won't mention my age. And congratiulations to Andrea, Aimee and Vera. Thanks for the tip off Christine. The US Google alert failed to mention this. Hmmm, it seems not all Fassy Google alerts are created equally. Hugs and kisses to allfasinators from an 'old' fassinator, but young at heart :-). I read a Dutch article about the Malick film. They think thef film will have it's premiere in Cannes. (that is what actor Joe Manganiello said, because he was told that his part survived the cuttingroom. But we know for sure on april 17, when the lineup for Cannes will be pronounced. Another year older for all of us. This is what happens every year. It's inevitable. But what matters is to stay young at heart! I wonder if in 20 years we will all still be coming here. I don't want to grow up if it means I have to give up Michael. Kidding. I'm already old. LOL. As far as this Malik film. He filmed two back to back films and have a lot of the same actors. But Michael is not in this one. I think the one they are talking about filmed first. I'm celebrating Michael's birthday by watching the counselor. I just saw the first scene. Holy crap, that Penelope is a lucky lady to even get to 'simulate' that. Mmmmmmmmm. I'm so happy with the raffle results; it is a lovely price! Just saw online that April 2 was also Alec Guinness' birthday! Obi-Wan!